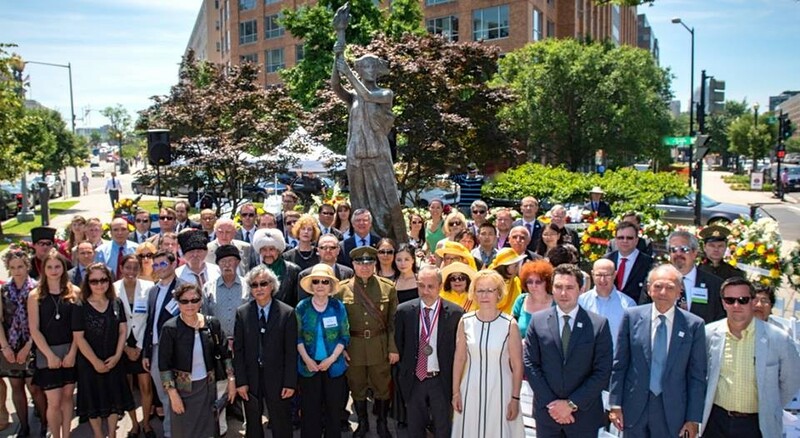 6/12/2015 - The American Hungarian Federation was proud to participate in the wreath laying ceremony on June 12 at the Victims of Communism Memorial statue, the "Goddess of Democracy," a replica of statue erected by Chinese dissidents in Tiananmen Square in 1989. 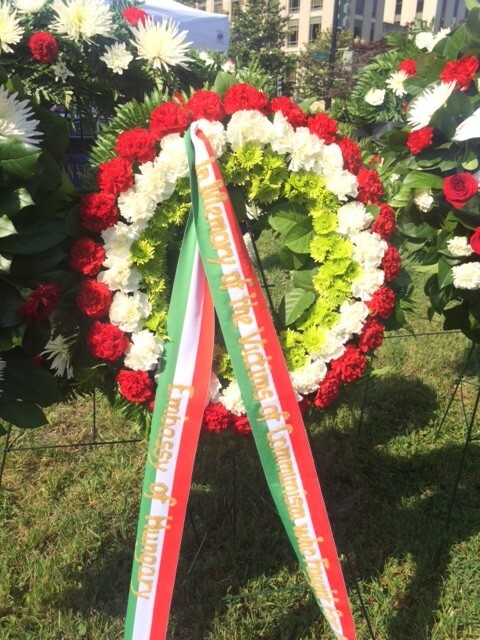 23 embassies, and 26 ethnic and human rights organizations joined 10 Members of Congress and over 300 participants for the annual Victims of Communism Commemoration on Capitol Hill, which this year revolved around human rights in Cuba and the legacy of communism in the post-Soviet sphere. 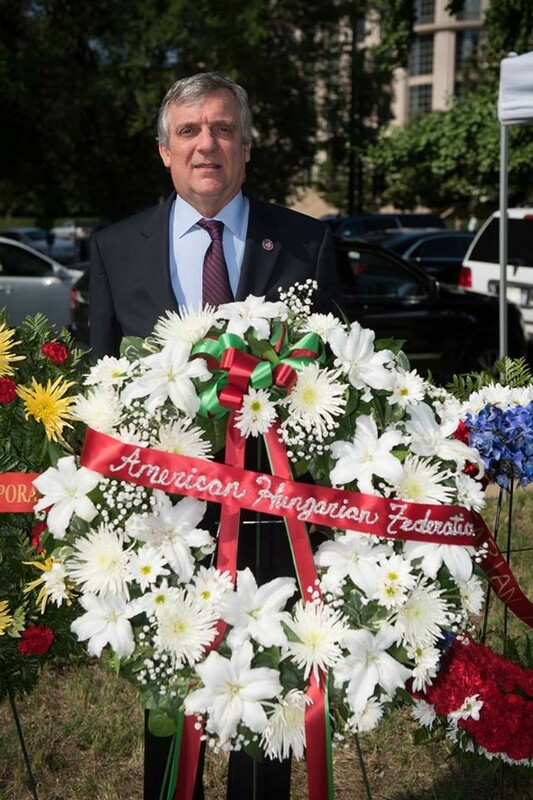 Paul Kamenar, AHF's General Counsel and International Relations Committee member, represented AHF and presented our wreath in memory of those brave Hungarians who fought against Soviet occupation in 1956 and other victims of communism. 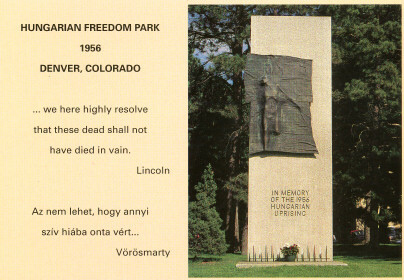 AHF is a proud supporter the the Victims of Communism Memorial Foundation or VOC. 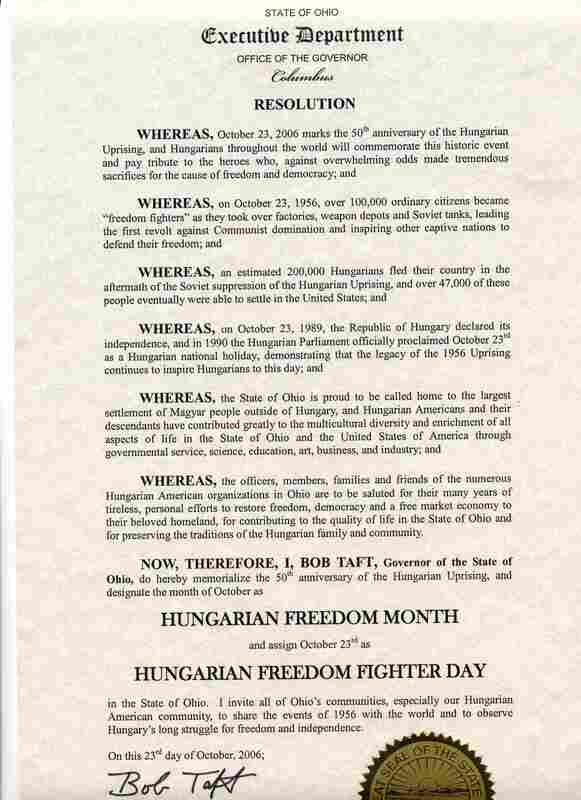 AHF issued a statement as part of the VOC Gala Brochure: "The American Hungarian Federation honors all Victims of Communism and those who have given the ultimate Sacrifice for Freedom. Hungary's first experience with Communism followed the chaos at the end of World War I when a brutal but short-lived "dictatorship of the proletariat" seized power between March and August 1919. 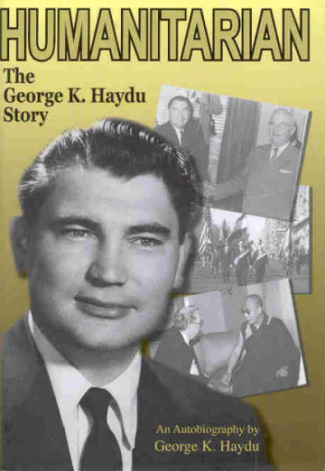 Communism would later be imposed on Hungary by the Soviet Union at the end of World War II, but not before Hungarians rejected the Communist Party in the 1945 elections when the Smallholders won an absolute majority of the votes despite the presence of the Soviet army. 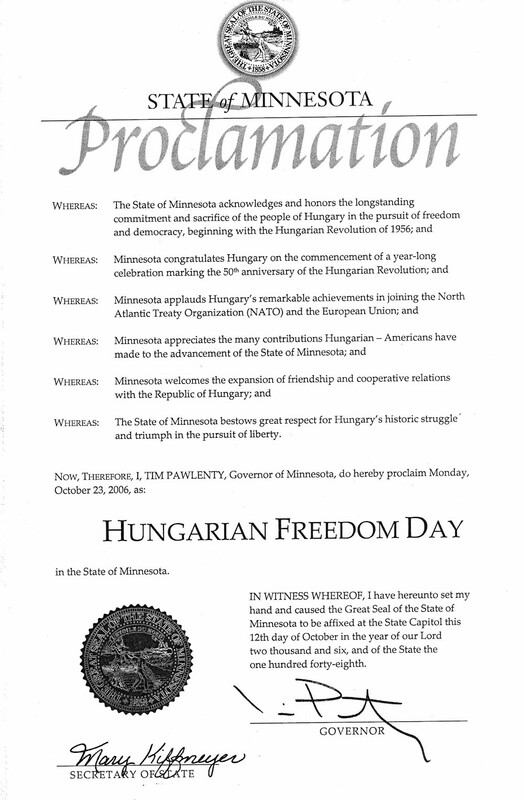 Hungarians living in successor states neighboring Hungary lived not only as an oppressed people, but also as a minority subjected to all forms of discrimination and forcible assimilation. 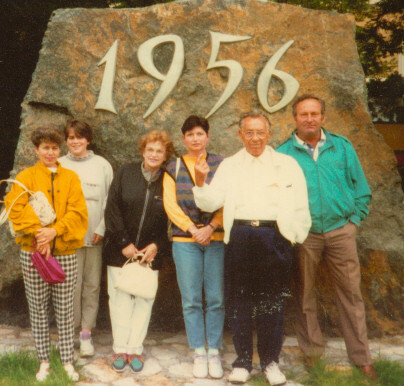 Despite the great strides toward freedom and democracy, the region's spiritual, moral and economic decay in the wake of decades of Communism imposed by Moscow, is still evident and cannot be ignored. 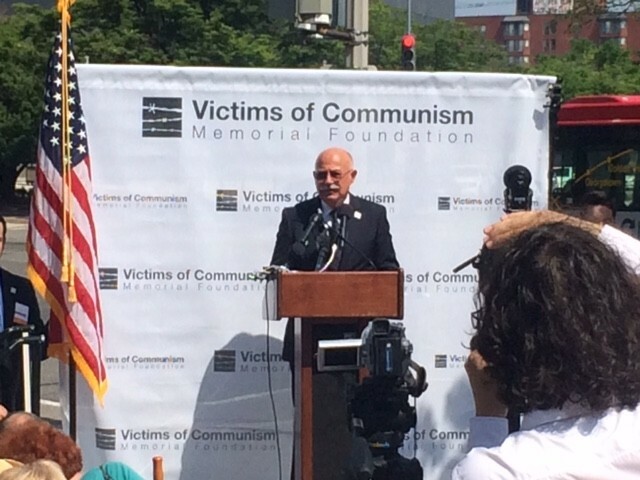 The Victims of Communism Memorial Foundation ensures that we not forget the suffering and the lessons of a terrible period in the history of mankind. 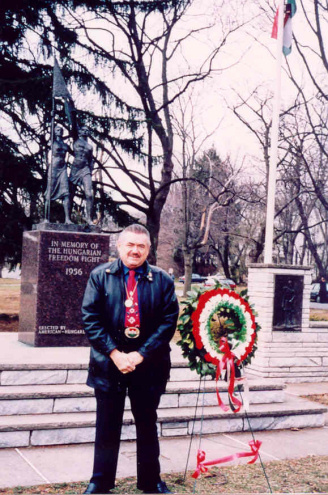 The American Hungarian Federation (AHF), founded in 1906 in Cleveland, Ohio, is the oldest and largest Hungarian American national umbrella organization in the United States. 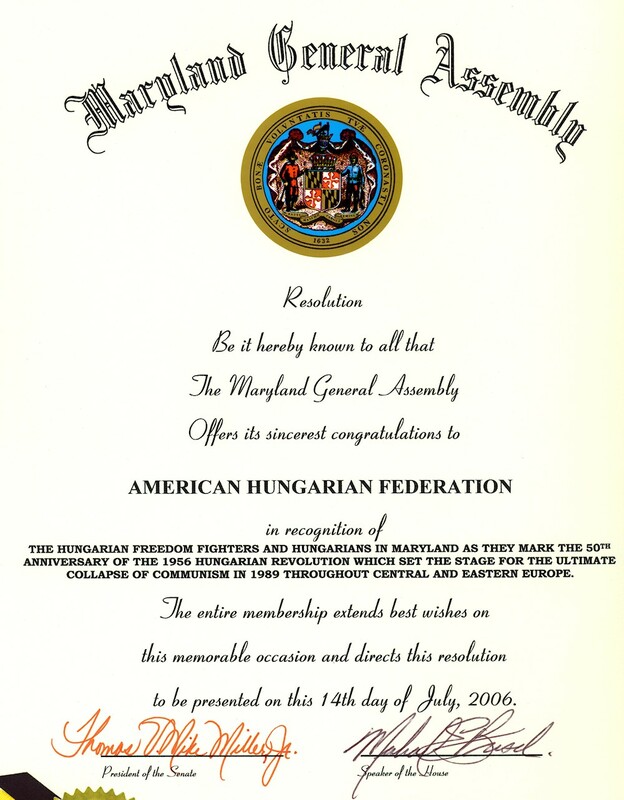 AHF represents the interests of its member organizations and a broad cross-section of the Hungarian-American community. 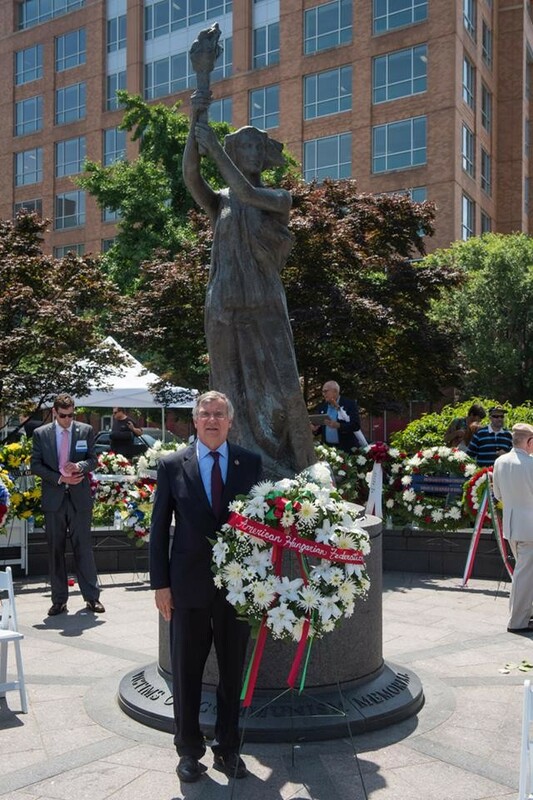 Among its purposes is to promote democratic values, monitor human and minority rights, and support strong relations between the people of Hungary and the United States." 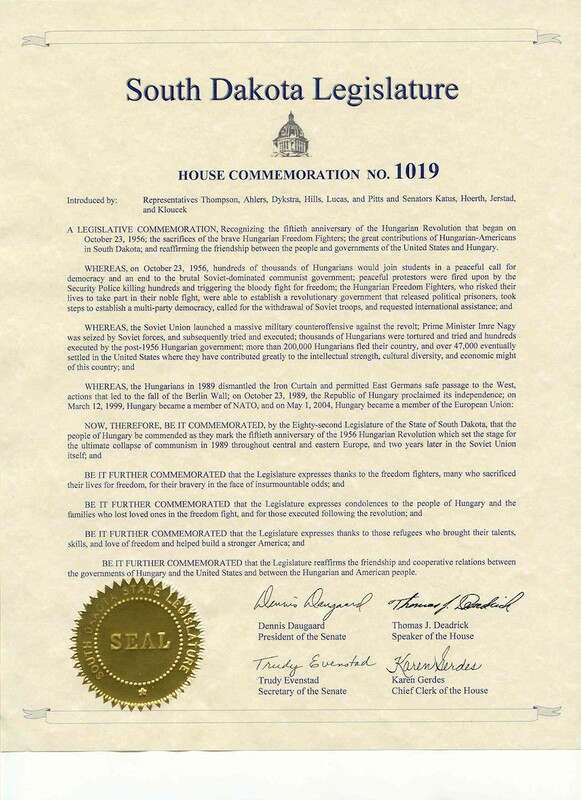 6/12/2008 - Victims of Communism Memorial 1st Anniversary... Former California Congressman Tom Lantos was awarded the Truman-Reagan Medal of Freedom (posthumously) during the ceremony. 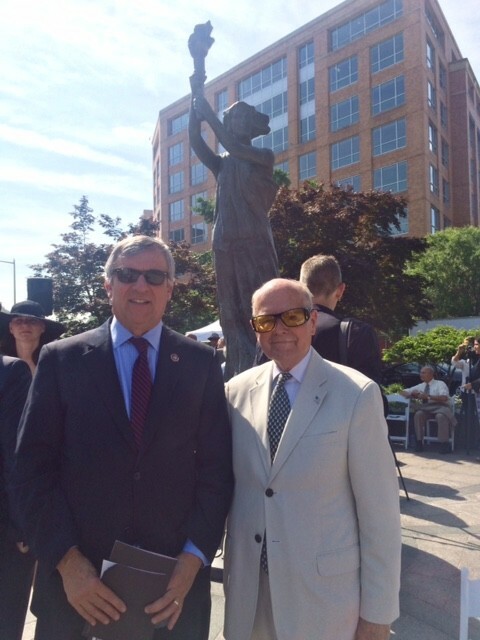 The ceremony marked the first anniversary of the dedication of the memorial. 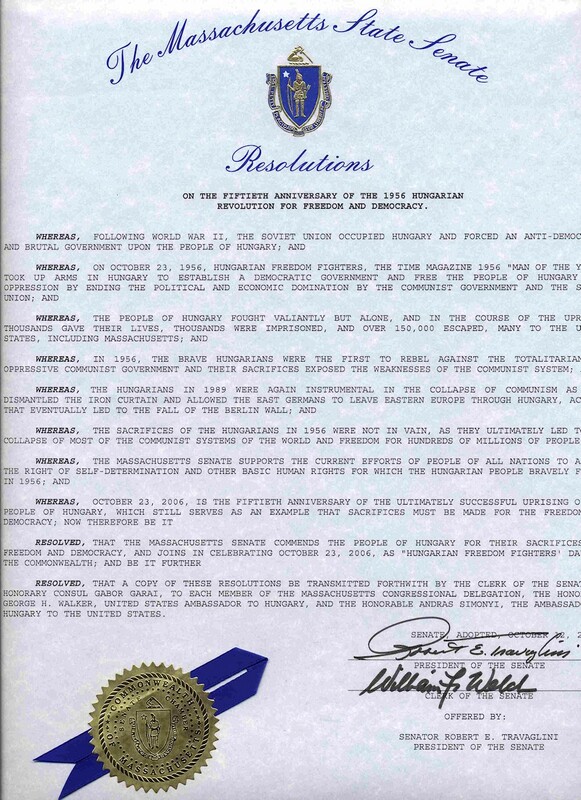 AHF is proud to support the foundation. AHF's October 2007 Congressional Reception in honor of its 100th anniversary began with a wreath laying at the memorial. 11/1/2007 - Congressional Reception for AHF Centennial... AHF celebrated it's 100th Anniversary, honored the heroes of 1956 on the 51st anniversary of the Hungarian Revolution, and unveiled its plans for a 1956 National Memorial in the Nation's Capital. 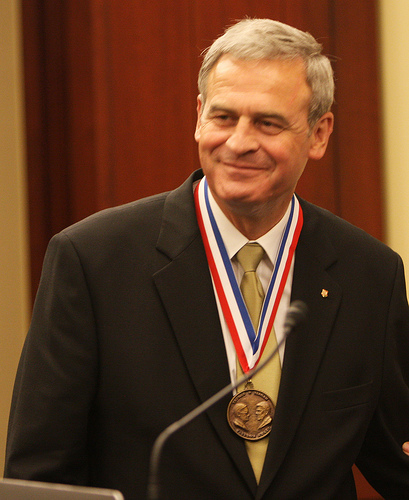 AHF recognized Congressmen Dan Lipinski (D - IL), ThaddeusMcCotter (R- MI) and Dr. Lee Edwards (Chair of the Victims of Communism Memorial Foundation) for their support of AHF initiatives, human rights and democratic development in Central Europe. Each received a plaque and a copy of the book, "Daughter of the Revolution" by renowned poet and author, Prof. Peter Hargitai. 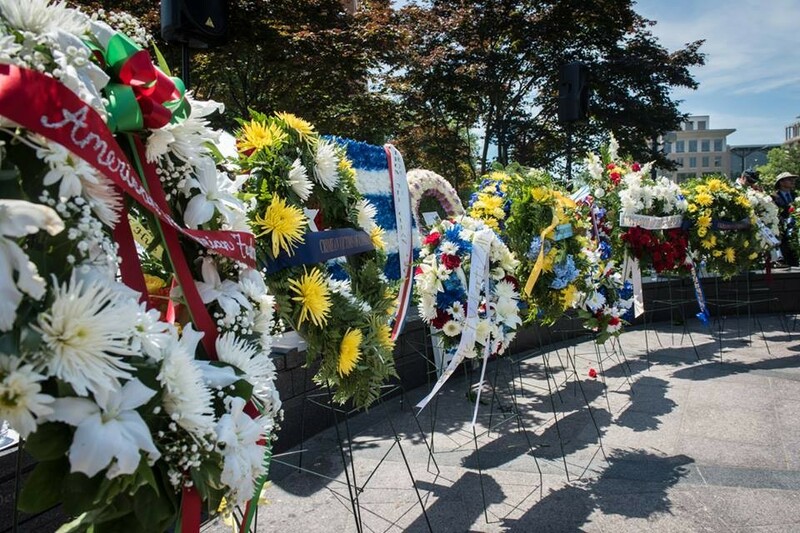 The October 25 commemoration started with wreath laying at the Victims of Communism Memorial near the US Capitol. [read more].